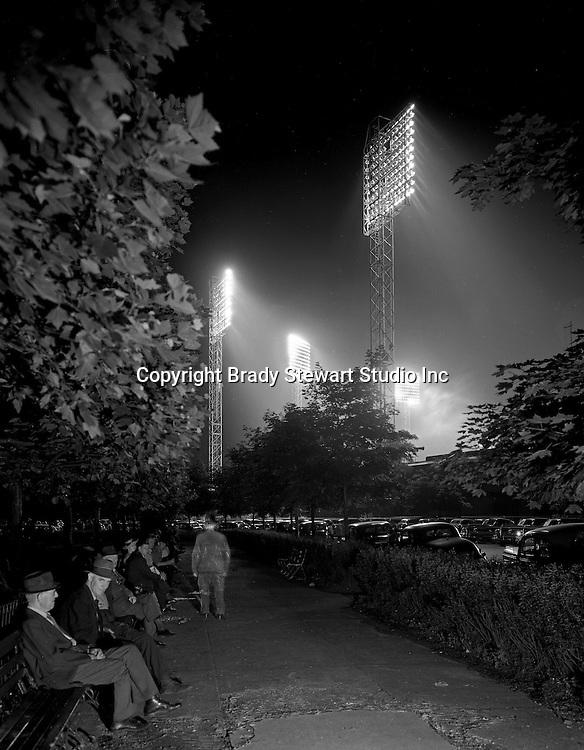 Pittsburgh PA: During the depression, homeless men used to meet behind Forbes Field in Schenley Park during baseball games. They would listen to the game and talk with their friends - 1936. This photograph took over a 30 second exposure to capture the lights and mist. The man leaning forward on the bench got up and represents the ghost image walking down the walkway.